"Oh, I work for "Insert Big Corporation Name Here" usually conjures up mental pictures of gray cubicle walls, florescent lighting and bosses wearing full suits and power-ties. Fortunately, that's not always the case. 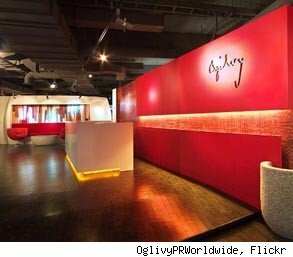 We found some big-name companies whose offices embody a much smaller, start-up attitude where individuals can flourish. This Yahoo! 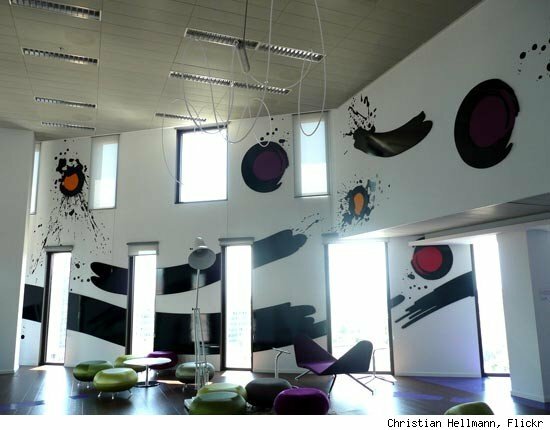 office, located in Barcelona, Spain, takes a creative approach with oversized paintbrush strokes and splatter artwork. The unique furniture is a nice touch. Located in Vienna, RochusPark is a unique office environment that is available for use by any organization. Freelancers are also encouraged to bring their work to this creative space. Threadless, the popular online T-shirt store, focuses on user-submitted designs with a creative slant. 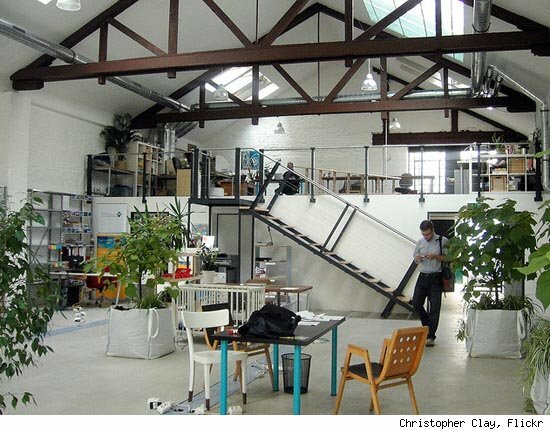 It only makes sense, then, that the Threadless offices emphasize a similar creative angle. With an emphasis on being active and the outdoors, it's fitting that Red Bull hired SSDG Interiors to spruce up their Vancouver office's lounge. 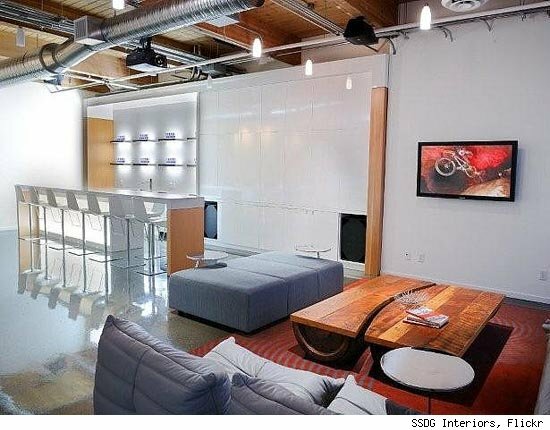 The wood coffee tables and color scheme suit the company's image well. 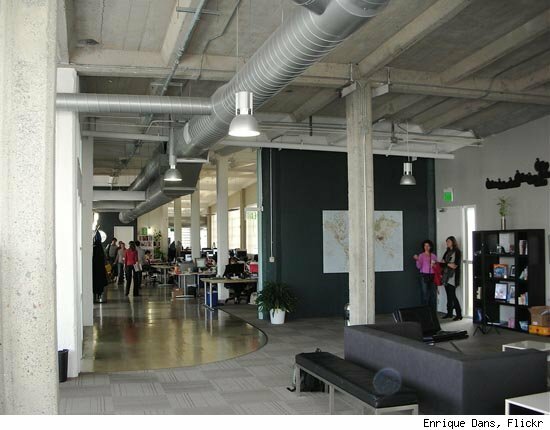 Twitter's spartan online interface is echoed in their office, located in sunny San Francisco. 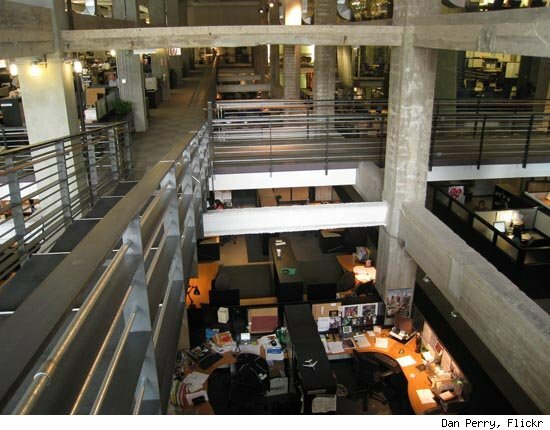 Known in particular for their work with Apple's "1984" and "Get a Mac" campaigns, Chiat\Day is the American branch of the TWBA advertising agency. 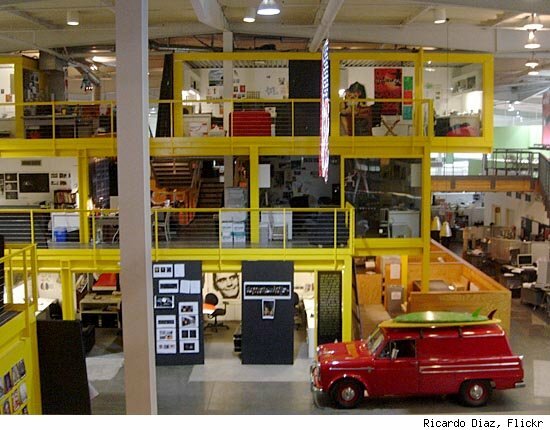 Their offices, located (in part) in Los Angeles, combine quirky and creative for an unusual workspace. 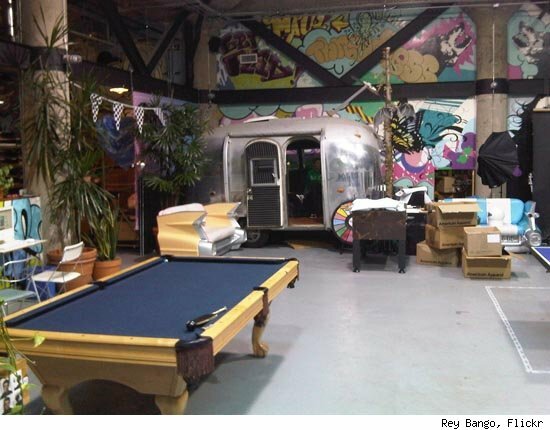 Although Google's headquarters are in California, their satellite offices still reflect the informal-yet-serious culture that the Internet giant is known for. 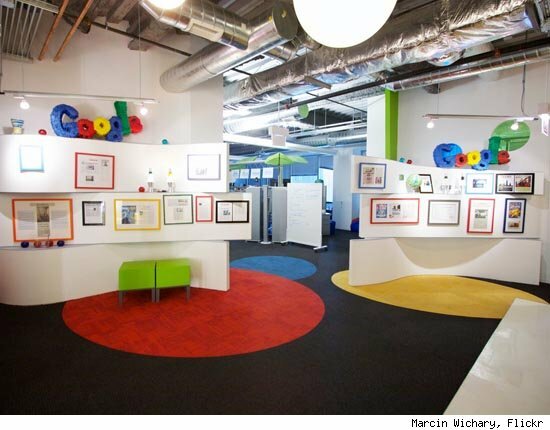 This office, located in Chicago, features the signature Google color scheme seemingly everywhere, from the floor to the frames on the walls. Microsoft opened a new office building for their Xbox division in early 2009. 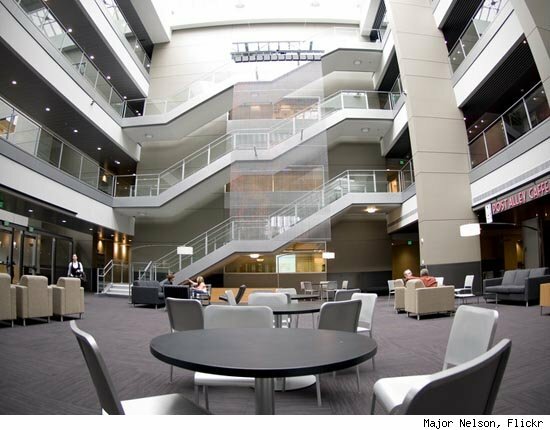 The open atrium allows for informal meetings, with a small café nearby for refreshments. As a classic Chicago landmark, the Tribune Tower is home to the Chicago Tribune and Tribune Company. Completed in 1925, the Tower features, in part, a traditional cubicle layout with a modern flair.